Merry, Merry Christmas creative friends!! 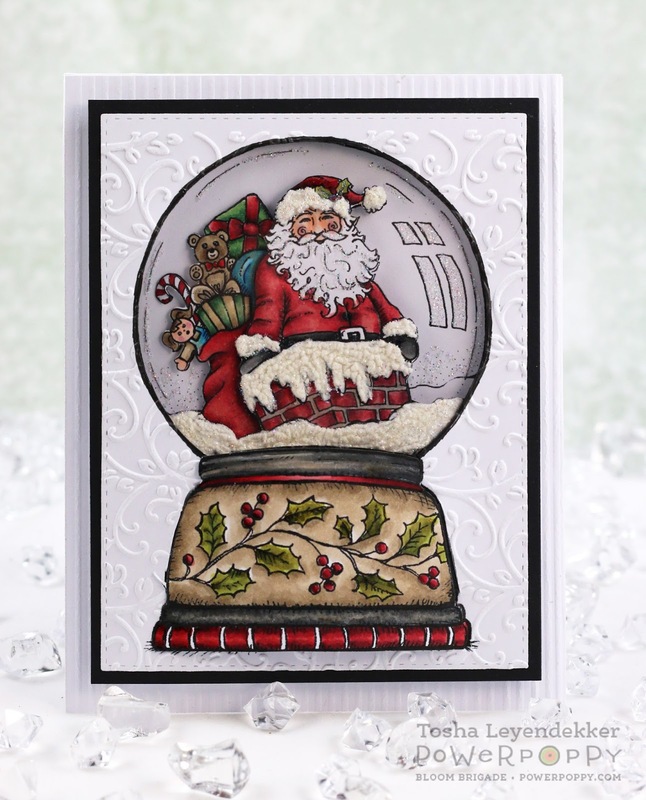 This can be a hectic time of year, especially for those of us with a creative gene, because we feel we need everything to be extra special since that is one of our gifts. It's no different with the cards I make. I'm always trying my best with my coloring or design. That doesn't mean they always turn out to my standards, but the striving is there. Designing for Power Poppy is a tremendous blessing to me. Marcella is a gem!!! Which is obvious from any post of hers that you read. She encourages, supports, delights, and just spreads joy wherever she is. And let me tell you, the entire design team is just as special! Each one blessed with their own unique personality and style. I have so many treasured memories of this year (like our DT gathering in Missouri this summer...minus our dear, dear Kathy), along with my personal memories, but I'm here today to share a few of my favorite Christmas cards. I have two from this year, and two from last year to share. 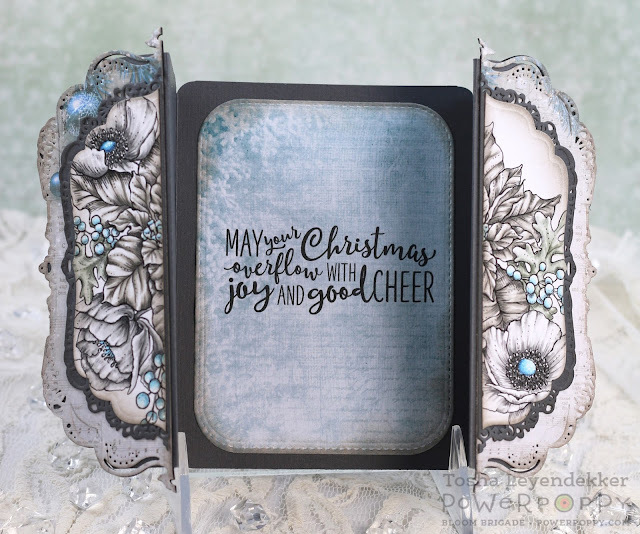 I don't know what it is about this Winter Wonderland card (could be the bright blue...turquoise is my favorite color), but in spite of the cool colors, it feels warm to me. And the Double Gatefold was fun and quite the challenge. I also just adore this image! 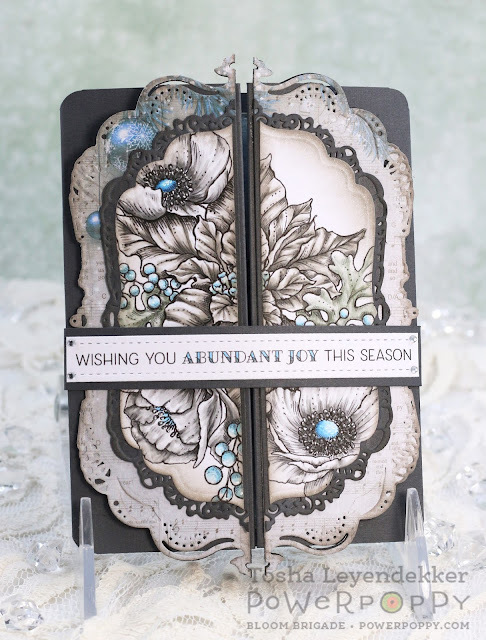 It is a delight to color and is so versatile! Here is a look at it opened up. My second favorite this year is quite the opposite of my first. It is very clean and simple! 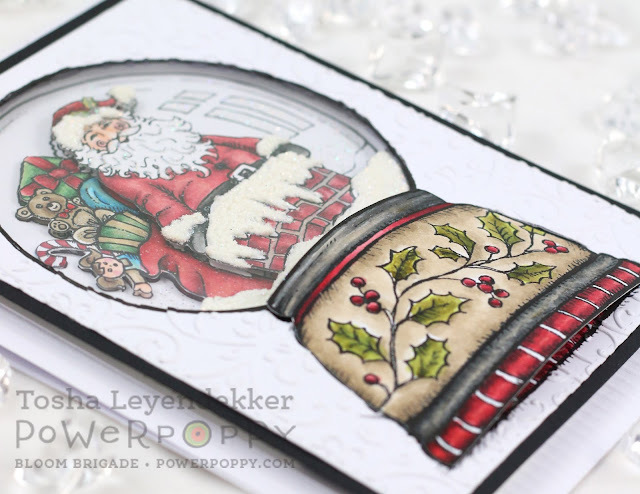 I just loved the sweet little stocking image from the Snow Kissed set. 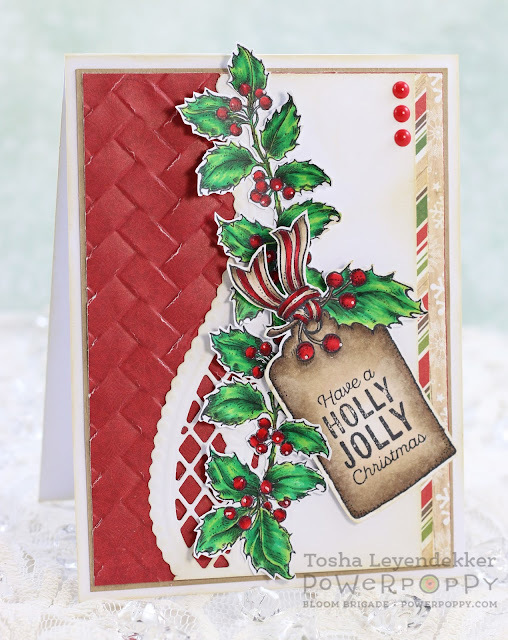 Next up is a card I made last year using Holly Golightly! I have to admit, that holly sprig gets used A LOT!!! It is definitely one of my "go-to's". I also just adore the sweet little tag! Lastly, is this A-D-O-R-A-B-L-E snow globe from one of last years sets called Snowglobe Greeting. Sorry if I got carried away a bit with 4 cards! But Marcy's images are just so incredible! I can hardly help myself!! 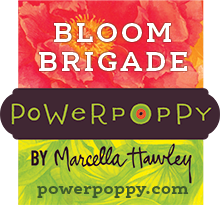 If you haven't already, be sure to stop at the other Bloom Brigade Blogs! I don't know how any of these gals are going to pick a favorite of theirs, because, in all honesty, every single one of their creations is incredible!! Hope you have fun hopping along, and that your Christmas season and New Year are full of blessings!! Wishing you all much love and the Merriest of Christmases!! Absolutely Gorgeous Tosh!! Your coloring is just fantastic, such a wonderful gift to receive any of these beauties!! Merry Christmas!